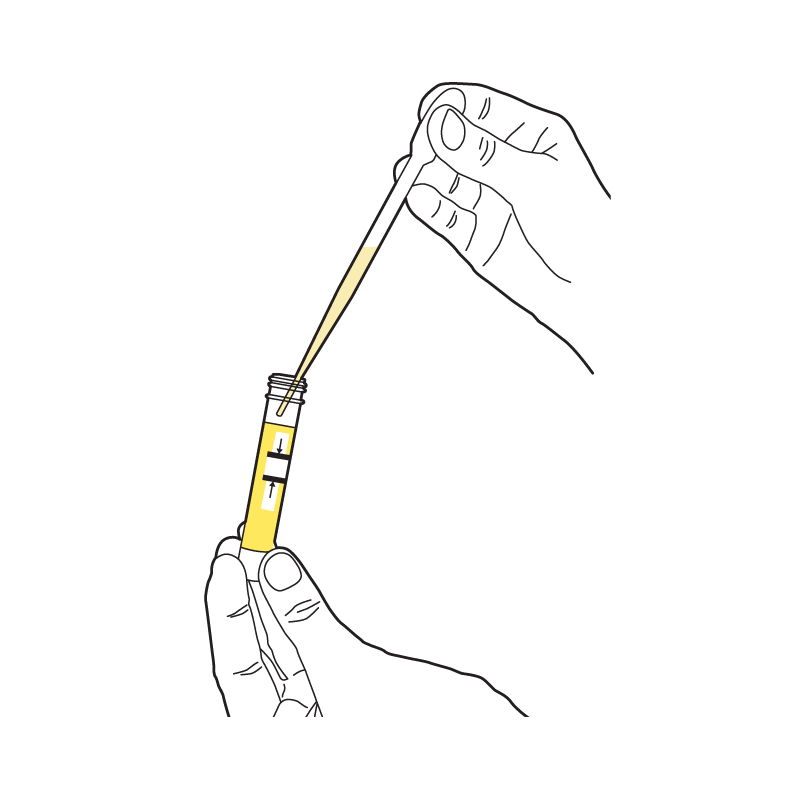 Equipment for the urine sample is included in the kits marked MA and MB. Check all the sample tubes in your kit for a use-by date. 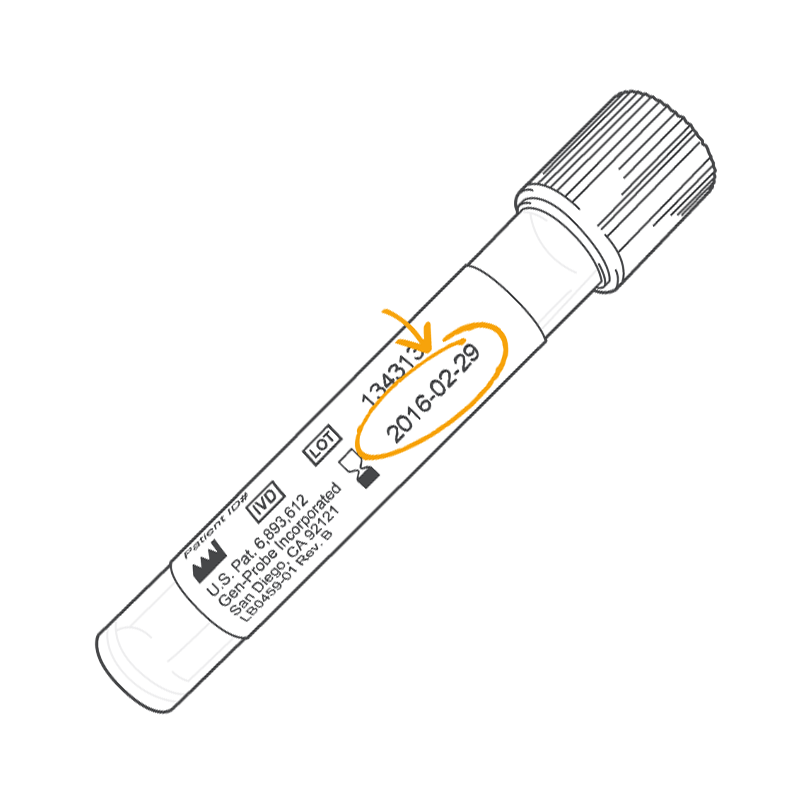 You must collect your samples before the earliest date found on any of the tubes. If you are unable to collect your samples before this date, you must request a new kit. 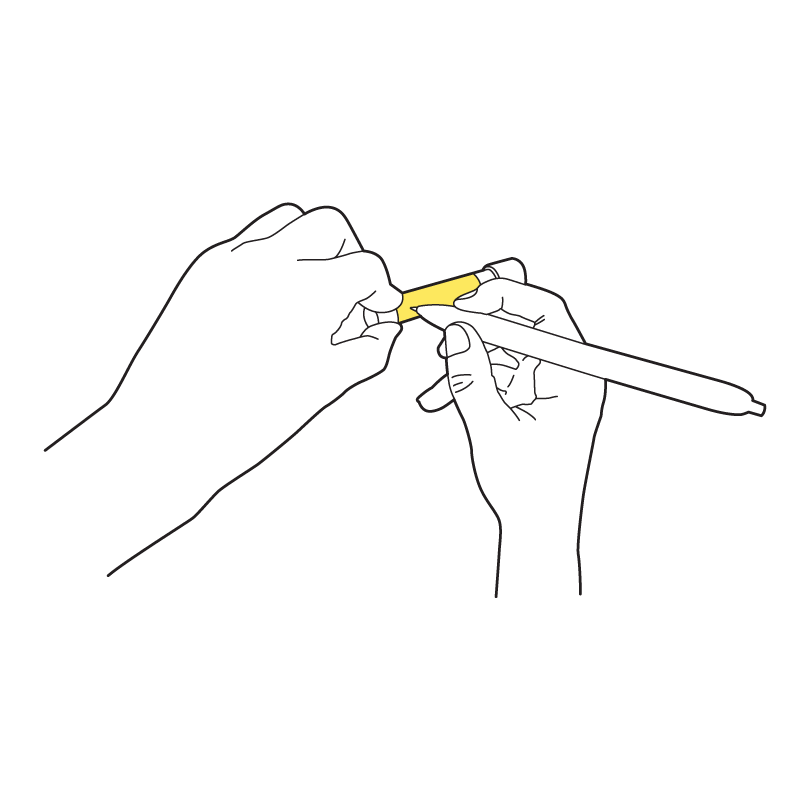 Remove the lid from the tube with the yellow label. You'll need this at step 5. Pee into the urine collection pot provided – the first part into the collection pot and the rest in the toilet. 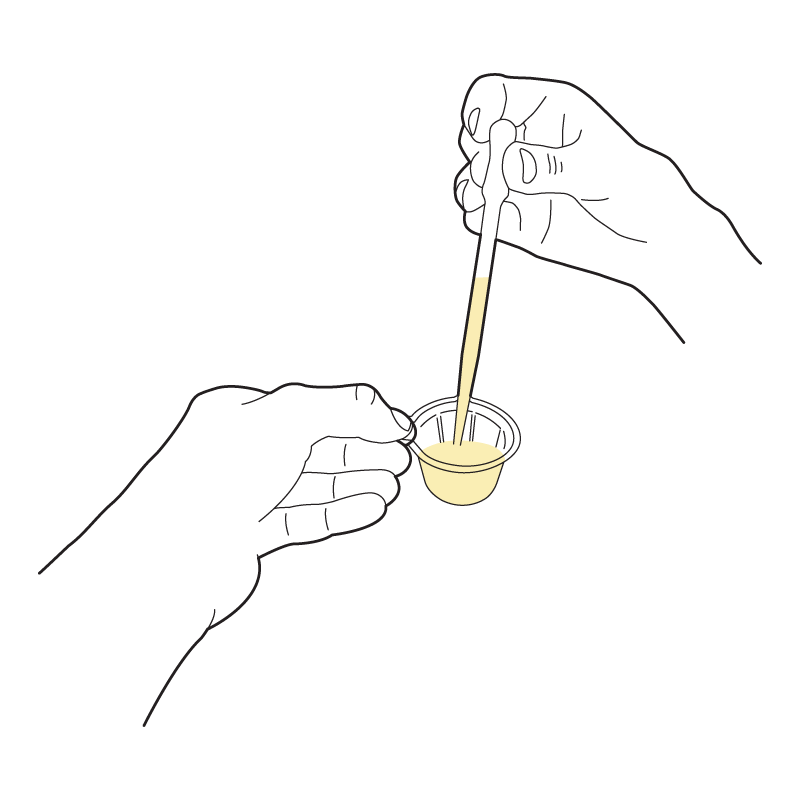 Use the pipette to draw up some of your urine from the collection pot. 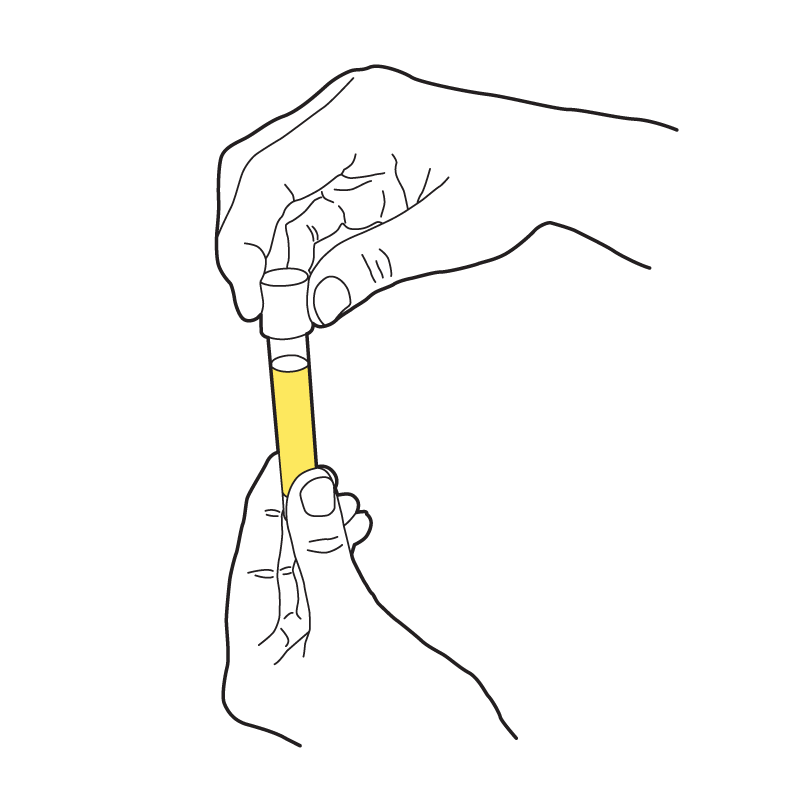 Squeeze the urine into the tube, filling to between the black fill lines marked on the side of the tube. Screw the lid tightly onto the tube. Do not pierce the foil cap of the lid. Write your name and date of sample collection on the tube. 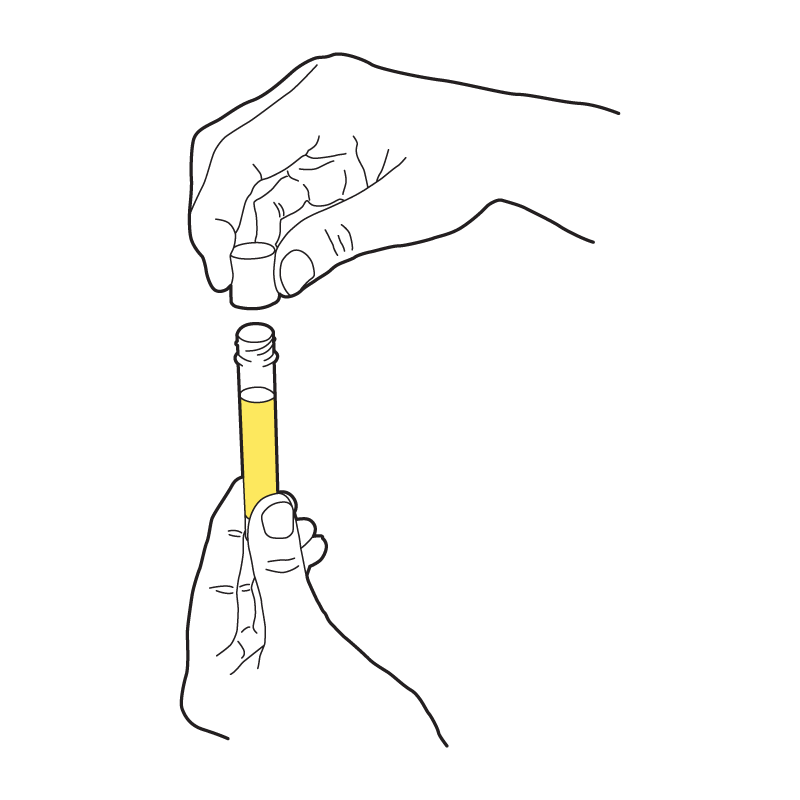 Then take the numbered sticker (labelled urine) from the request form and attach it to the tube.